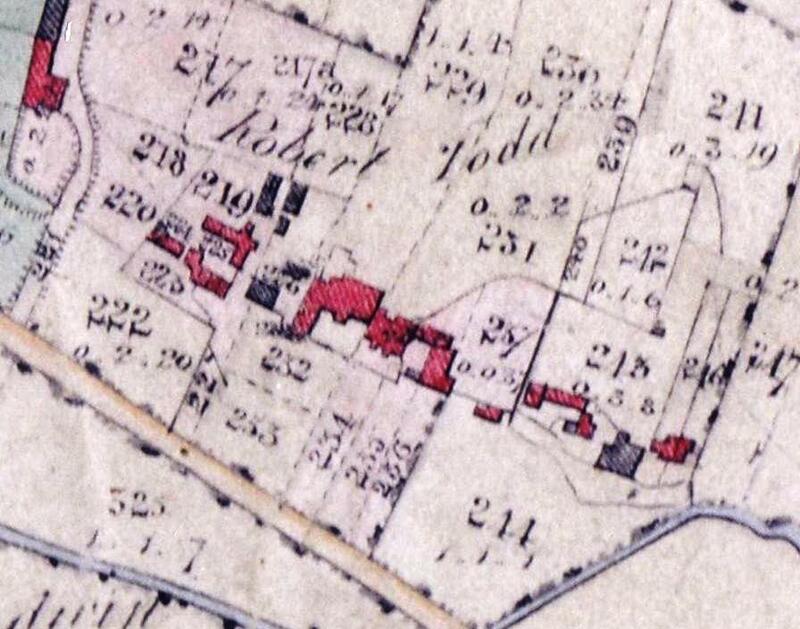 Only one major house remains here from what was a complex sequence of dwellings accumulated over several centuries in a disorganised way, seen in the 1839 map below. This whole Lawns strip was radically altered by John and Mary Crake in about 1850. 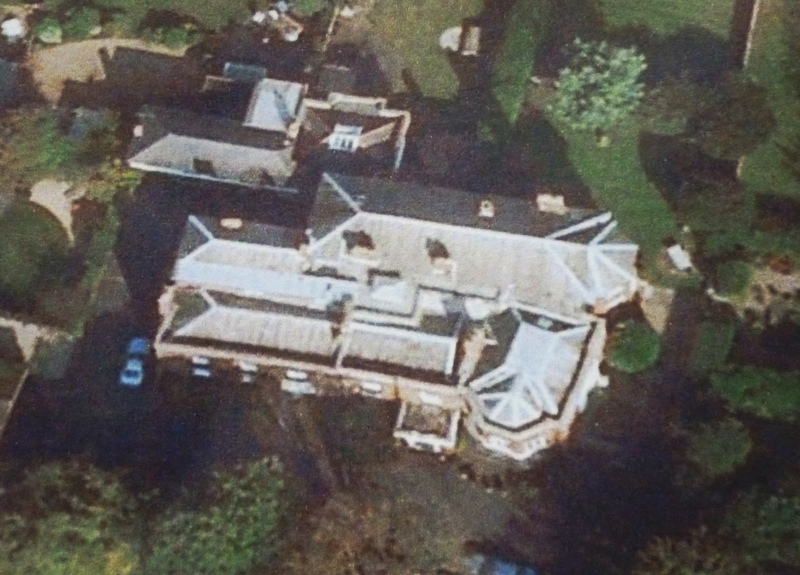 Older and lesser sections of the complex were demolished and modern wings were added to the the most prestigious parts of the old house and garden grounds were developed around it in the spaces created by clearance. One grand Georgian wing survives from about 1750, although altered by the Crakes a century later. 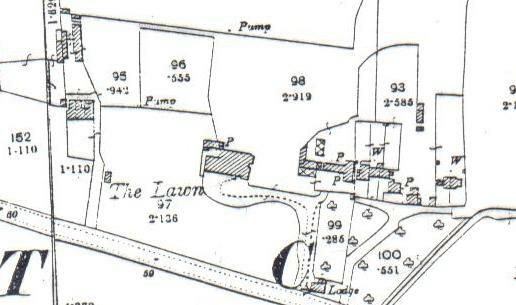 The name ‘The Lawn’, ‘Lawns’ or ‘Datchet Lawn’ has been applied to various houses along here (including the present Cedar House), originally referring to the grassy paddocks in front of each property along the Horton Road frontage. After WWII the developer Frederick Sabatini bought the Lawns house and converted it into flats, building the bungalow at 20 Lawn Close for his own eventual use. This was itself itself recently demolished and a block of flats built on the site. 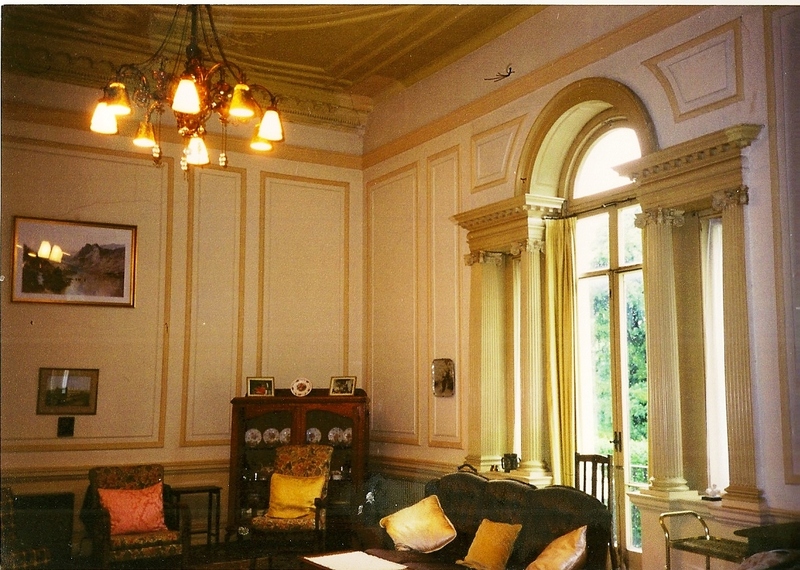 The Sabatinis lived for some time in the flat which contains the ballroom (or drawing room) and grand staircase at the east end of the house. The strip of land on the front edge of the recreation ground along Horton Road bears their name because it belonged to the Lawn estate and Sabatini was the last private owner before the land was sold to the Parish Council in the 1960s. Sabatini also converted a granary and coach house to the present Orchard Court to the east of the house. 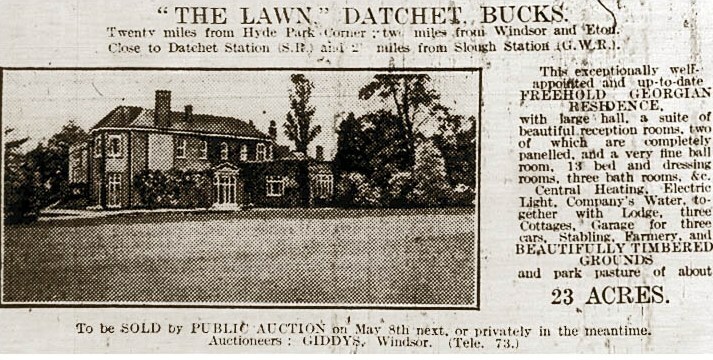 In 1935 most of the land behind the house was sold to the local housing developer George Scott who created Lawn Close as a new residential road. More recently a connection from Lawn Close through to Horton Road was made via Link Road, following an old lane. For Mrs Crake’s Cottages or Lawn Cottages in Link Road go to the end of these pages. Until the 1920s the house belonged to the Morice family, heirs of John and Mary Crake. Annie Alice, their eldest daughter, married George Knox Morice and both were buried in the churchyard, Annie in 1911 and George in 1928, although he was by then living in London. 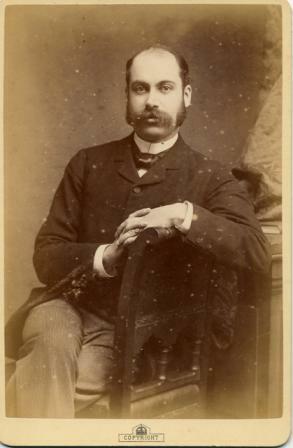 During the early twentieth century it was George and Annie’s son unmarried son Bernard who continued in residence at The Lawn. 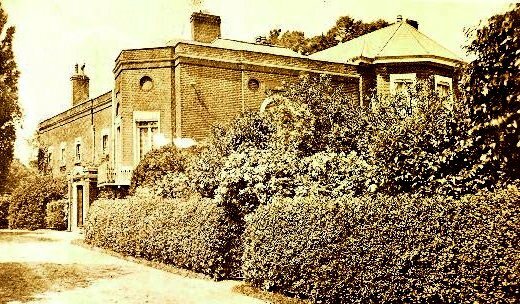 Times advert April 1930 after George Morice’s death, photo from north showing back of house and added billiard room. The origin of these interconnected properties is obscure and cannot be identified before 1625 when Elizabeth Berrington bequeathed a ‘cottage’ to her daughter Luce Perriman. This and other houses, were inherited through the related Perriman, Baddams and Grace families until William Grace sold ‘two houses and one other house’ to Thomas Parr in 1748. Edmund Mason bought the same property in 1762 from the Parr family heirs, and had already bought another house adjacent to the Lawn complex in the 1740s before Thomas Parr’s death, plus the house in Datchet now called Old Bridge House. He was was a Commissioning Officer in the Navy and also owned property in several parts of London. As a trustee of the Colnbrook Turnpike Trust he attended a dinner at the Castle Inn in Slough in 1773 and was one of the fifteen victims of accidental poisoning caused by the turtle soup served to the assembled gentlemen. He lingered for several weeks and so was able to write his will, requiring all his property in London and Datchet to be sold to provide for his heirs. 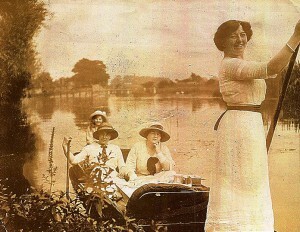 To be Lett, in exceedingly good repair, and entered upon immediately, on Datchet Common, one mile from Windsor (the stage coaches and waggons pass through the village to and from London every day.) The large and commodious Dwelling House, with the offices and gardens, late in the possession of Mrs Owen, deceased; consisting on the attic floor of three neat bedchambers and two rooms for servants; on the first floor three handsome bedchambers, a dressing room and closet, and on the landing-place another bedchamber and a light closet; on the ground floor a large dining parlour and a hall, a breakfasting parlour, a closet for china and a passage room adjoining, a servant’s hall, a neat dressing room and water closets; from the hall there is a neat stair case with a light closet on the landing place, which leads to a large and elegant drawing room; near the hall is a light kitchen and over it a servant’s bedchamber. 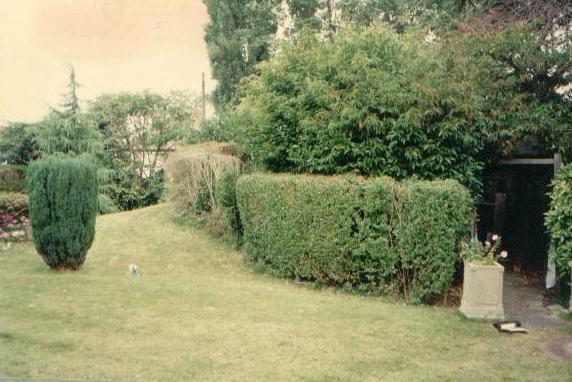 Behind the premises is a lawn, a kitchen garden walled in and a paddock fenced in, including two meadows. Without doors is a large courtyard, consisting of coach houses for five carriages, stabling for seventeen horses, a wash-house, brew-house with a servant’s room over it, dairy, laundry, pantry and cellar. Also, adjoining so immediately connected as to be made either a part of the Great House or to be a distinct Tenement, consisting on the first floor of four convenient bedchambers with garrets, on the ground floor an hall, two parlours, kitchen, larder, beer cellar, laundry and wash-house, coach-house and stables, with a garden walled in. The present tenant, Mr Herschell, to the last mentioned premises will quit on Michaelmas Day next. For further particulars enquire of William Reddington, Windsor, where tickets may be had to shew the premises. Elizabeth married Peter Charman and had a daughter, also Elizabeth Charman, who died in 1831 two years before her mother’s death. 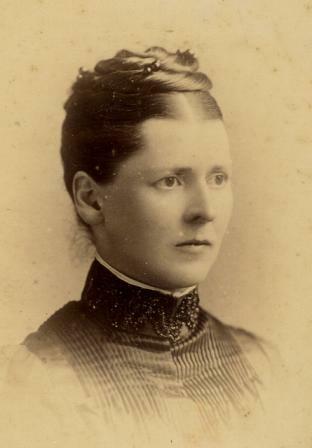 The daughter had married Robert Todd and had a daughter Mary Ann Todd. Robert Todd inherited the Lawn estate in 1833 from his mother-in-law, the first Elizabeth Charman, after the death of his wife. 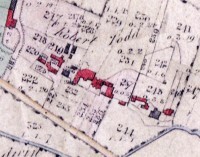 Robert Todd inherited the Lawns estate as fifteen separately identified plots of land and houses, roughly from the present Link Road and Lawn Close to Linchfield Road, and from London Road on the north to the ditch on the present recreation ground to the south. It included two houses that once belonged to Thomas Parr, the site of another house which had already been demolished, and a group of artisan cottages on the west edge of the estate. In 1836 Robert Todd bequeathed the estate to his nephew George Todd who was a builder and developer. 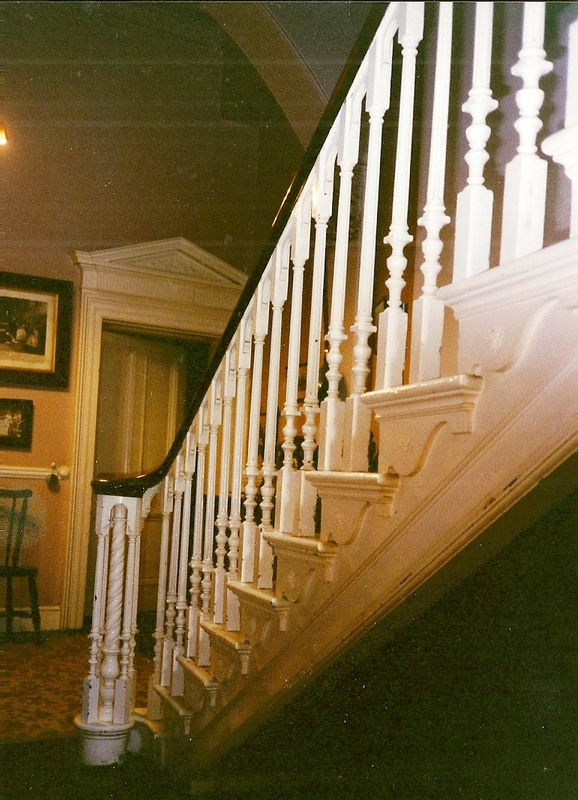 John Crake and his father William were both architects and had worked with George Todd long before the marriage between John and Mary Ann in 1847. John Crake had been articled to the architect Decimus Burton and won the RA silver medal 1831. He retired in 1852 as he began the rebuilding of The Lawn, and this may been due to ill health because he died only seven years later. The circa 1750 drawing room wing was incorporated into the Crake’s development, but it is not known what else might survive from pre-1850. To the north of the grand rooms a main block was added to what had previously been a one-room deep house, and the entrance front was remodelled with a projecting porch. 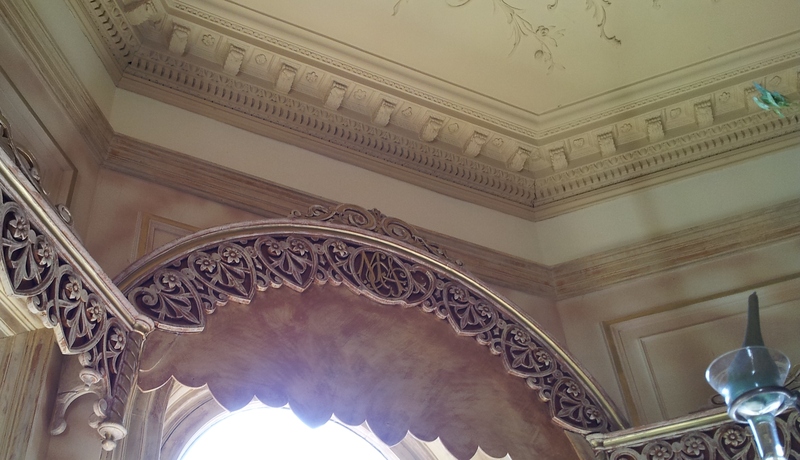 Within the grand drawing room new decorative plasterwork schemes were created and the initials MAC (for Mary Ann Crake) still survive in details over the windows. “Without a plan it is difficult to be certain, but the exterior photo seems to show a two-storey addition to an earlier house, with a canted bay projecting towards the south. It is arranged as a piano nobile (ie principal floor) over a semi-basement in the Palladian manner. Presumably there was a similar bay toward the north, absorbed in the late 19th century extension on the north. I would guess a date around the 1750s for it. It is comparable with the gallery wing added by Isaac Ware to the Ranger’s House in Blackheath 1749-51, though the red brick used at The Lawn was a material going out of fashion in the 1750s as looking too ‘hot’. John Crake lived at The Lawn until his death in 1859 and Mary Ann until she died in 1900. 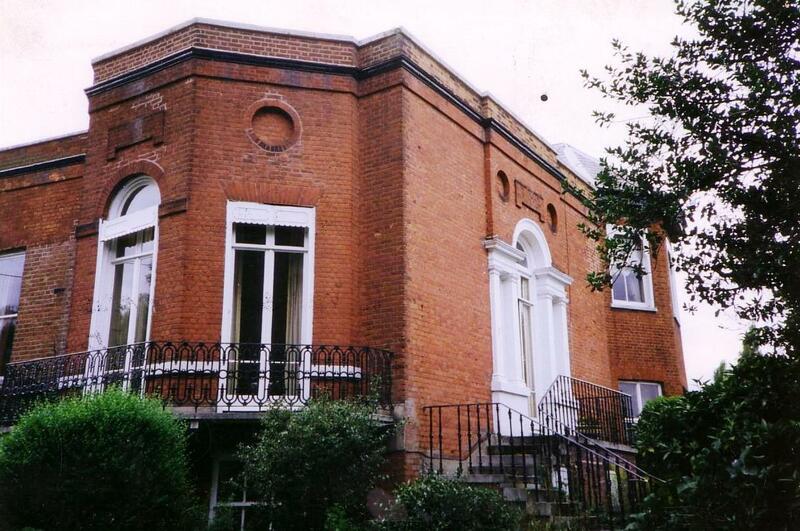 Their daughter Annie Alice married George Knox Morice and their son Bernard continued to live here until the house was sold after George’s death in 1928. John was one of the most influential people in Datchet urging, as a churchwarden in the 1850s, that St Mary’s Church should be rebuilt. The Crakes contributed a great deal of money to the building funds although John does not seem to have been involved professionally as the architect was Raphael Brandon. On John’s death in 1859, aged only thirty five, Mary had a fine stained glass window of the Resurrection and Ascension installed in the newly-built church, one of the important series of windows by O’Connor. From the Reddingtons in the 1780s to George Knox Morice’s death in 1928 the Lawns estate was inherited through the same family. 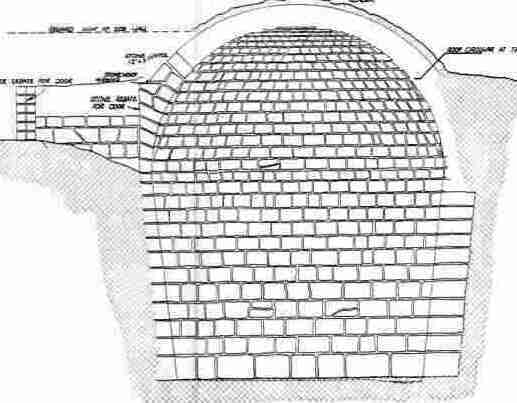 Icehouses were common in substantial households by the late 1700s.The typical example shown on right is on a much grander scale than that at the Lawns, but does indicate that most of the beehive shaped brick chamber which actually held the ice would be underground, with an insulating earth mound built over its top and an access passage. 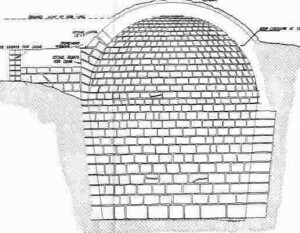 All that can now be seen at the Lawns is the short entrance passage just below ground level (as on left in the drawing) for access. 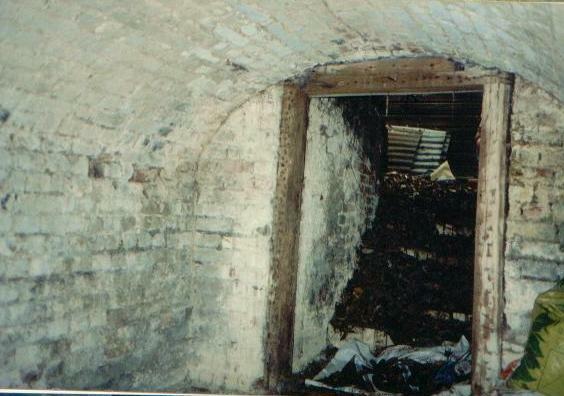 It is not known when the main underground structure was last accessed or in what condition it survives, although conservation work has recently been carried out to the entrance steps, passage, and retaining wall of the mound. Everything above ground is in much better condition than when these photos were taken. Ice for the table would have kept well during the warm months and was available commercially as well as being collected locally in the winter. 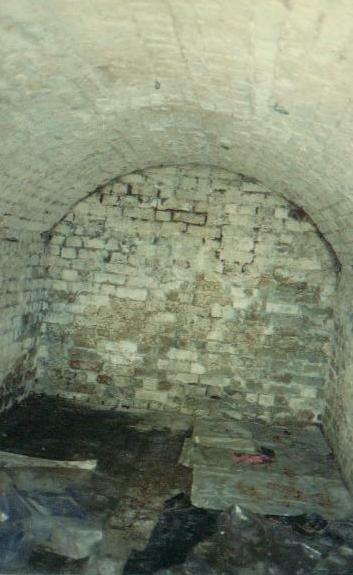 A similar icehouse survives at Ditton Park though when last seen was in poor condition. 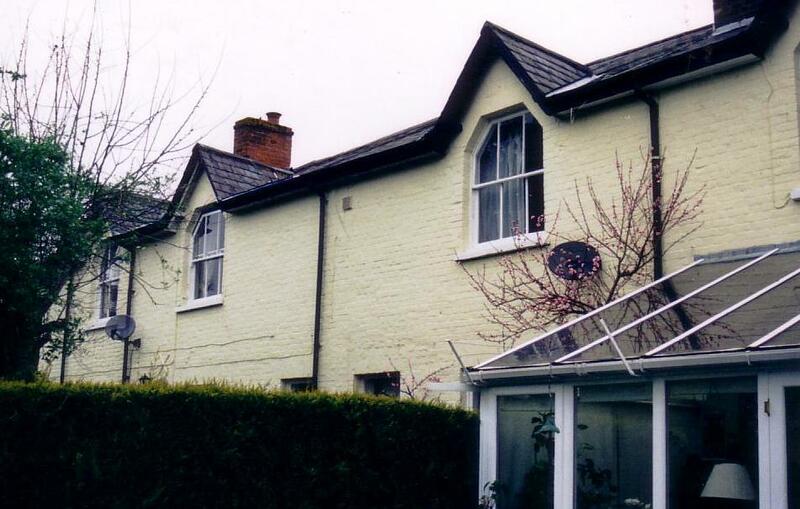 These three cottages, which are now approached from Link Road, were first recorded in the 1871 census and so were built at some time during the preceding decade. They were built by Mrs Crake as model housing for her servants as she was much concerned with improving the lives of the poor. In 1871 the Littlewood and Mace families were tenants and one was empty; in 1881 the Littlewoods and Cliffords plus George Hancock and family. There is a revealing detail about the Mace family from the Parish Magazine in 1875. Thomas and Ann won the ‘Prince Consort’s Association Prize for bringing up a family’. The Prince Consort (Prince Albert) took a great interest in the welfare of the labourers in the Great Park and the villages around and in 1850 he established the Windsor Royal Association for Improving the Condition of the Labouring Class. There was also a prize for ‘keeping a clean cottage’. The Maces were a very large family and their descendants may still be living in the village.